The links provided here are for informational purposes only. 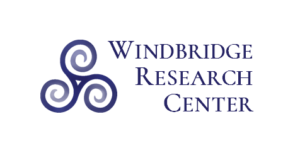 The content on these sites is the sole responsibility of their creators and does not necessarily reflect the opinions of the Windbridge Research Center or its staff. Inclusion on this page should not be considered an endorsement or recommendation. The American Center for the Integration of Spiritually Transformative Experiences (ACISTE, pronounced ‘assist’) was “established to support people who have had spiritually transformative experiences (STEs).” They offer: competency guidelines for professionals working with clients who may present issues related to their STEs; education, training, and certification to professionals who want to provide support for experiencers; a directory of professionals certified by ACISTE; and free online and regional support and discussion groups for individuals who’ve had STEs. Founded in 1967 by Dr. Ian Stevenson, the Division of Perceptual Studies (DOPS) is the oldest and most productive university-based research group in the world devoted exclusively to the investigation of phenomena that challenge current physicalist brain/mind orthodoxy – including investigation of phenomena directly suggestive of post-mortem survival of consciousness. The Forever Family Foundation’s missions include establishing the existence of the continuity of the family, even though a member has left the physical world; stimulating thought among the curious, those questioning their relationship to the universe, and people who are looking for explanations of certain phenomena; and providing a forum where individuals and families who have suffered the loss of a loved one can turn for support, information, and hope through state-of-the-art information and services provided by ongoing research into the survival of consciousness and afterlife science. The Parapsychology Foundation is a not-for-profit foundation which provides a worldwide forum supporting the scientific investigation of psychic phenomena. Since its incorporation in 1951, the Parapsychology Foundation has remained committed to two goals: To support scientific and academic research into psychic phenomena; and to provide professional resources and information to the academic and lay communities. No matter how you say it, it happens to all of us. Death is as much a part of human existence as is life, yet it remains a mysterious, often taboo subject. Passing On is an original documentary comprised of compelling, sensitive, and personal stories that frankly discuss the topics of death, dying, and end-of-life planning (57 min). 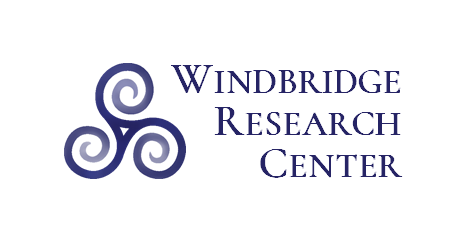 For the past 70 years, the Rhine Center has been researching and studying the experimental science of parapsychology. Now in the 21st century, the Rhine Center continues the mission and work of its founder J.B. Rhine with a broadened scope directed deeper into the Study of Consciousness. Since 1995, Share The Care has worked to perfect a guidebook and resource used by caregivers and their friends, neighbors, co-workers and acquaintances as a loving, pragmatic approach to caregiving that can succeed no matter what the challenge. It’s a system that lets everyone share responsibilities, creates a strong support network among the individual caregivers and leads to making a profound difference in someone’s life. The simple, easy-to-follow system includes seven guiding principles and 23 forms to help create and maintain a caregiver network. The Skeptiko podcast offers host Alex Tsakiris’ interviews and conversations with leading controversial researchers, thinkers, and their critics. The SSE is a multi-disciplinary professional organization of scientists and other scholars committed to the rigorous study of unusual and unexplained phenomena that cross traditional scientific boundaries and may be ignored or inadequately studied within mainstream science. The SSE publishes a peer reviewed journal, the Journal of Scientific Exploration (JSE), and holds annual scientific meetings in the USA and periodic meetings in Europe. Topics addressed in its journal and in its regular meetings cover a wide spectrum, ranging from real or apparent anomalies in well-established areas of science to paradoxical phenomena that belong to no established discipline. The SPR, located in the United Kingdom, was the first organization established to examine allegedly paranormal phenomena using scientific principles. Their aim is to learn more about events and abilities commonly described as “psychic” or “paranormal” by supporting research, sharing information and encouraging debate. SPR members, who come from all over the world and represent a variety of academic and professional interests, have access to a comprehensive online library as well as the full content of SPR’s publications from the very first issues to the present day and a number of out-of-print classic books and materials housed at the SPR libraries in London and Cambridge. Victor Zammit’s site aims to provide an up-to-date, comprehensive overview of the empirical and scientific evidence for the afterlife. It focuses on areas of evidence which are objective and repeatable and which can be supported by experiments and empirical observations. The site is the work of researchers Victor and Wendy Zammit who have been researching the objective, scientific evidence for the afterlife for almost 20 years. The Zammits offer a free weekly online newsletter.